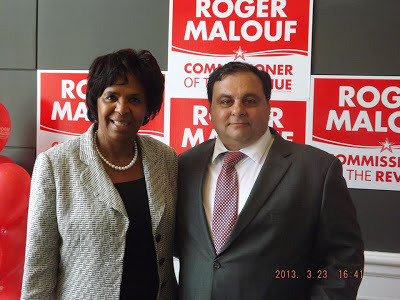 The picture above is Roanoke City Sheriff Octavia Johnson and our good friend, REI member, Roger Malouf who are both running in the upcoming election. 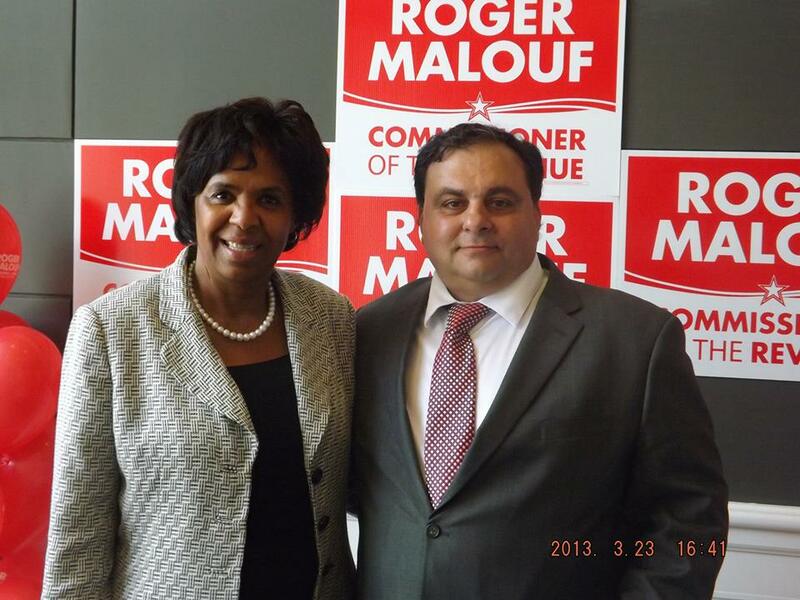 Octavia is running for Sheriff and Roger is running for Commissioner of Revenue. As you may remember, we had Octivia scheduled to speak with us a couple weeks ago but she had a death in the family and couldn't come. We also had Democrat Tim Allen who is running against Octavia come and talk with the group. I was unable to make it to that meeting but was told it was very lively. Lots of good emotional conversation. We wait for 5 days after sending a notice before we can take a non paying tenant to court. They are at this point in the process of stealing from us. And often they have been given a break before taking them to court so the theft is becoming a large amount of money. However the courts appear to be too backed up to be able to set a quick court date and there has to be enough time for the tenants to be served. That is the first point where the sheriff or a process server steps in to help us out. After filing for eviction we wait another 3 weeks for our court date. At that point the tenant can continue the case or they can contest the case which will drag it out for another 3 weeks for another court date. Still no urgency and by now there is a substantial amount of money that has been taken from us. Much more money than the typical theft from a business. When someone walks in a business and steals money from them it isn't looked at as a civil matter but rather criminal. But when they steal from a landlord they are not criminals, just innocent people who got one over on the rich landlord that probably should have been renting the place to them for free anyway. And once we get our judgement we often have to wait another 10 days to give them a chance to appeal the judges decision. Whew, finally we have possession of the property…. Nope, still don't have it because they refused to get out and are going to ride it until the sheriff gets there. And sometimes at this point they get a "STAY" which sets another court date and we have to file another writ of possession to get the sheriff out there after we win that one. Back to square one! By Virginia law the sheriff has up to a month to schedule a date where they will meet the landlord at the property and wait there while you change the locks or put the deadbeats belongings on the curb. That's unbelievably long. It doesn't take that long in Roanoke Here we are looking at from 2 to 3 weeks. And that is way too long as well. Next day after filing would be great. Maybe that is unreasonable and a week would work. I don't know. All I do know is that I have some ideas that I would like our sheriff to consider that will lead to faster evictions. I know that the sheriffs can do a significant amount of evictions a day if set-outs were scheduled on a different day than 24hr lockouts. A sheriff doing 24hr lockouts all day could schedule quite a few more than one doing set-outs. And landlords who schedule a 24hr lockout could have priority over the set-out which would drastically reduce the amount of time required to get these deadbeats out of our property. REI has never had a chance to talk with Octavia about the Roanoke City Sheriff's office and we are looking forward to hearing from her any ideas she has that will help us stop the bleeding and get the criminals out of our property.